This week’s cocktail, specifically the Corpse Reviver #2, calls for the use of Lillet Blanc. Not having any experience with this ingredient I did I bit of digging and sampling. Lillet is an French aperitif wine produced in Bordeaux. The flavor is that of a sweet fruity white wine. The fruit flavors lean primarily towards citrus but there are hints of others in there as well. There are slight herbal notes but they are much more subtle than those in vermouth. Overall I really like Lillet Blanc and could see myself enjoying it on its own over ice with an orange garnish. Problem is, although the Corpse Reviver #2 was intended to use Lillet, the Lillet they had back then, and as recent as 1986, isn’t the Lillet we have today. 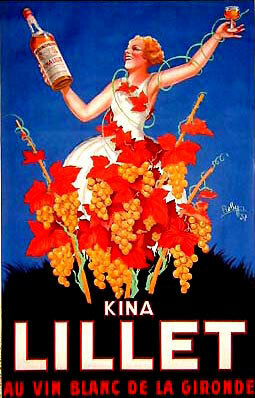 The original Kina Lillet was considered a tonic wine due to the fact that it contained quinine. 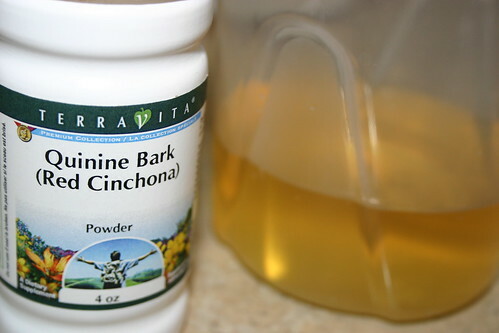 This quinine was added through the infusion of cinchona bark (Kina Kina in Peruvian). However, come the late 80’s the Lillet company decided to modernize it’s brand and dropped the Kina from the name and a large part of the flavor along with it. The aperitif recipe was changed to be less sweet and considerably less bitter. Therein lies the rub you see. This recipe needs a bitter component to offset the sweet and sour. That’s no longer present. So, what’s a hacker to do? Well in doing a bit of poking around I came across Erik Ellestad’s write ups on his site, Underhill-Lounge. Seems I’m not the only cocktail enthusiast in search of a replacement for the original Kina Lillet. In his search he’s found a replacement that is said to be very similar to the original Kina Lillet, namely, Cocchi Americano. After calling around to the major liquor stores in the Boulder/Denver area and checking the web I couldn’t find a ready source however, so I decided I’d try a hack Erik mentioned in his first post. Some folks have tried infusing Lillet with cinchona bark on their own. Since I had some cinchona on hand from my homemade tonic I was ready to give it a go. I started with a cup of Lillet and 1 1/2 Tablespoons of cinchona powder. I combined them and shook until it was all well blended. I let the cichona steep for 15 minutes then strained using my custom straining rig. My rig is a coffee filter clipped to the inside of a funnel and placed in to the bottom half of my strainer. This filter setup worked wonderfully! The results were a copper colored Lillet that was exceedingly bitter, much too bitter in fact. This info in hand I tried again. Round two I mixed a cup of Lillet with 1/2 Tablespoon of cinchona. I shook again and let this mixture steep for 10 minutes. Once fully steeped I filtered the Lillet. This time the infusion was much more pallatable but still not what I was looking for. Not wanting to waste any more of my Lillet on failed experiments I decided a better way to add the bitterness I was looking for would be to simply use orange bitters. More on that later in the week. Erik, on the other hand, didn’t stop there. His latest endevour, linked above, is to create his own infused wine a la Kina Lillet. I look forward to hearing about the results. If you’re interested in more of Erik’s cocktail comments, check out his work on “Stomping though the Savoy” on eGullet. He’s making one cocktail at a time from The Savoy Cocktail Book . Cocktail Hacker » Blog Archive » Vesper - Mmmm…Tasty? I’ve just found your site and have really enjoyed reading it so far, nice to see a US version of a tonic test as well as another fan of John’s Premium tonic. I think I need to revisit the Cinchona infused Lillet, I think add a dash of sugar syrup would work well. (After extensive talks with Lillet, it seems that Kina Lillet was also sweeter and more viscous). 1) Never found a better process, but I didn’t try to hard either. 2) Be careful with infusing the cinchona, the flavor steeps in very very quickly and it’s very easy to over-bitter the mixture. 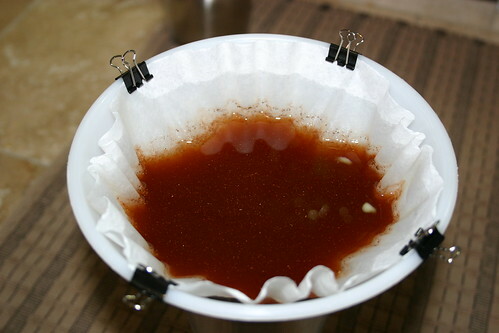 3) It will never fully mix in, you’ll always want to strain, likely through a coffee filter to make sure you’ve gotten rid of all the very fine particles.